Some might call it a “hack” bike due to fact that the Ibis Mojo HDR was originally designed for 26-inch wheels, but based on rider feedback, the slightly modified geometry and slightly larger 27.5-inch wheels didn’t hurt its performance. In fact, the Mojo HDR 27.5 takes all the positive attributes of the original and adds better cornering grip, rollability and versatility thanks to its ability to run both 26-inch and 27.5-inch wheels with a couple minor linkage tweaks and two different length shocks (You can check out our First Look at the HDR for a more in-depth explanation of the bike’s changeable nature). At first glance, the test riders’ opinions of the HDR’s looks varied. 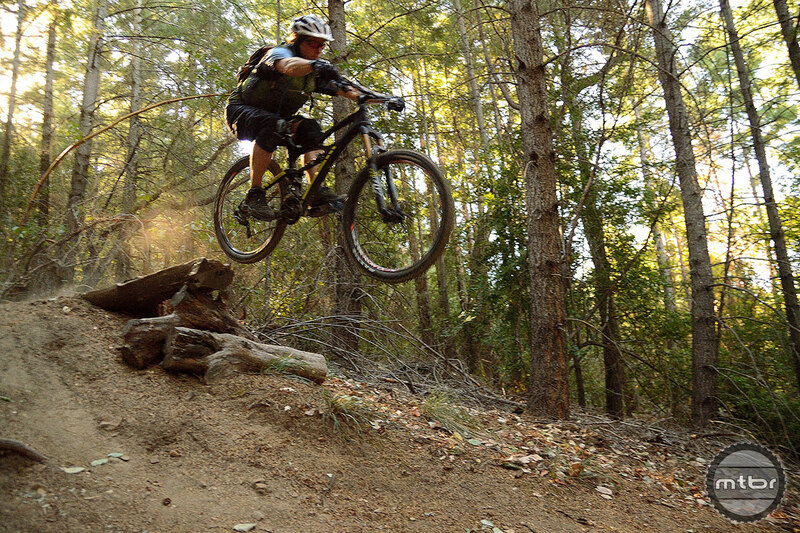 Another rider found there to be a significant issue with the Mojo HDR. David Weagle is truly a boy genius. 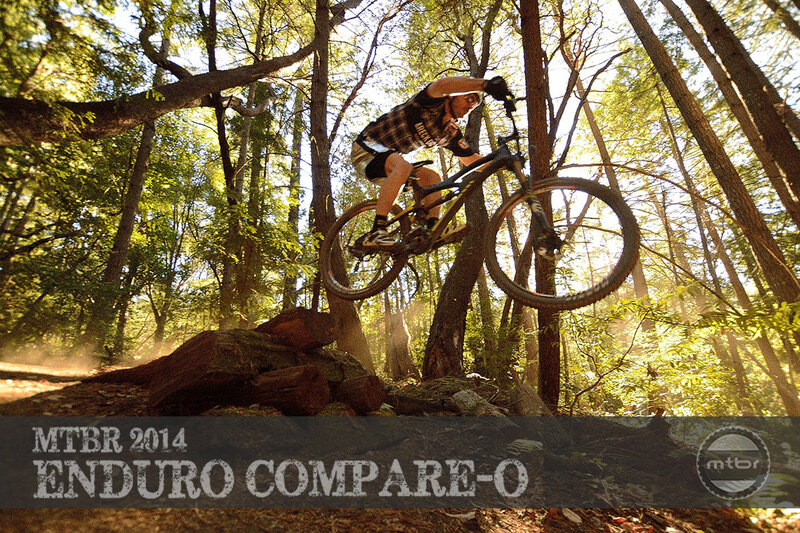 It seems every bike we ride that sports his suspension design performs with the utmost efficiency both up and downhill. The dw-link on the Mojo HDR is no exception. Boasting either 160mm of rear wheel travel with 26-inch wheels or 130mm of rear travel with 27.5-inch wheels (as tested), the Mojo HDR can go both ways without changing geometry spec of the original Mojo HDR. Our test bike featured a standard Fox Float CTD shock out back and a 140mm Fox Float 34 CTD up front. Pedaling up the 1,500-foot vertical Sulphur Springs Road climb, riders were impressed overall with the HDR’s climbing prowess, especially considering its somewhat portly 30-pound weight. Another rider praised the HDR’s climbing ability as well. In technical uphill sections, the dw-link showed off its superior anti-squat reputation. “Very little traction loss even when out of the saddle. The dw-link is so efficient you can climb in ‘trail’ or even ‘descend’ mode through tech sections and maintain traction without bobbing all over the place. This is a true ‘set and forget’ bike,” said yet another rider. These Compare-o “reviews” are a garbled mess of thoughts that are difficult to draw any clear conclusion from. What’s garbled? Specifically? It is a lot of information to put together and the project is coming together piece by piece. Just seems awfully early in the process (3rd review?) to label the reviews a “mess” without giving the benefit of a specific criticism. As a “saver” looking to make the right purchase later this summer I am loving this. I have one with XX1, Reverb Dropper, XT Brakes and the rest Ritchey and it comes in at just a tick over 26lbs. It SHREDS! No bike pics in the main review? I personally find this (compare-o) is a nice project. Really gives a wide perspective to the mtb market. This review was much better than the Trance review, or at least I think so. I hope you continue with the “Who is it made for”-section in further reviews. Keep up the good work! So you saddled the HDR with heavy flexy wheels, and a heavy old school dual chainring XT group and complain that–surprise–the bike is heavy and noisy. Next you’ll test a XX1 bronson with Carbon Enves and gush about how quiet and light the bike is. If you guys wanted to make this a meaningful comparo, you should have equipped the bikes equally–or at least all with the same X01 style group and similar wheels (all carbon or none). At the very least, you should list the frame weight fro each bike, since that is far more meaningful than the as built weight. Reviewers and review sites review the bikes the bike companies want reviewed. Whew! It is not rigorous/scientific, and the saving grace is that it is obviously not. It would be worse for everyone if a shootout of this sort were portrayed as fair, while not really meeting that standard. And no shootout is going to meet that standard–it would be fantastically expensive, and no one involved (bike companies, reviewers with industry hook-ups) has any incentive to try to do anything else but what you see here or in other cycling media. So accept that for all it’s flaws it still provides some good info, and is not full of misleading info. I disagree with the statement that all reviews simply take the bikes as they come from the manufacturers. 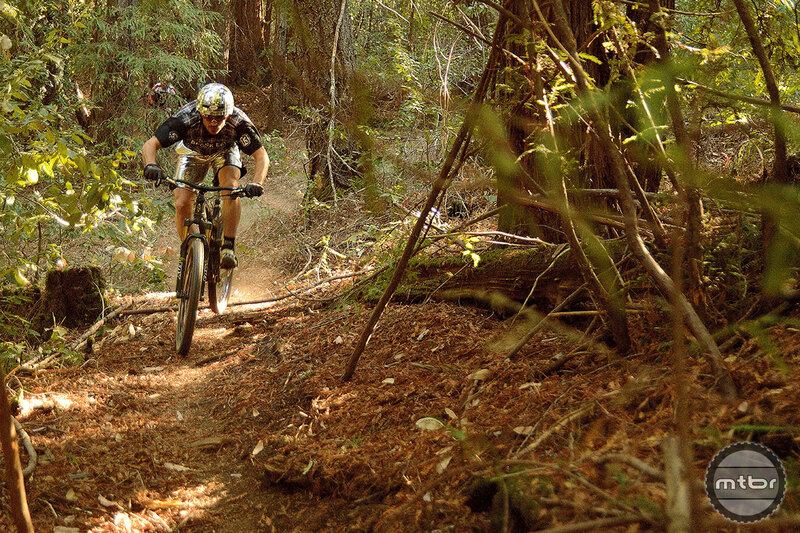 I can think of two sites off the top of my head — Pinkbike and Blister — that regularly swap cockpits, wheels, other components on the bikes they test. Gotta agree with isaidso there. The mix of parts from bike to bike is all over the place. A little bit of standardization (wheels maybe?) would have helped. I will say that the stock Ibis wheels, while not terrible, are not going to win awards anywhere. Hardly a glowing review. I’m really surprised. I’m biased – I love my 26/160 HDR – but I think it’s one incredible bike. It goes up amazing (the review definitely highlighted that) and I think comes down just as well. In that regard I don’t think it got its fair shake in this review. 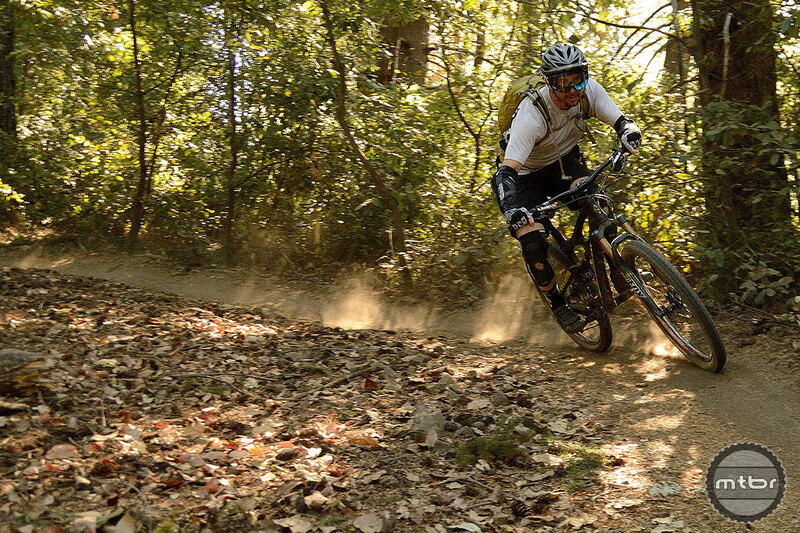 The reviewers almost make it seem harsh riding, which the HDR (at least the 160mm version) is anything but. Part of the suspension problem is the stock Fox shock. This bike shines with a reservoir shock ie RS Monarch plus, Fox Float X., CCDBA. My 150mm travel XL 650b Mojo HD weighs 28.2lbs with a double crank, clutch derailleur, KS lev post. Runs quiet, gobbles descents. One other quibble with this review: Stan\s Flows are described as flexy? I’m able to reach the bottle on my HD, while I ride. Crazy I know! No bottle cage is a deal breaker!!!! Notice that the MOJO neither has a vaseline distributor.